MIAMI (Feb. 28, 2017) – ActivePBX, a global provider of cloud-based business phone systems, today announced the launch of a native Zoho CRM integration using Zoho PhoneBridge. The integration adds a new telecommunications feature to Zoho CRM, enabling users to seamlessly track inbound and outbound calls, make calls using click-to-call technology and offer a new way for Zoho CRM customers to gain more insight into managing both the sales cycle and ongoing customer relationships. The ActivePBX and Zoho CRM integration, available immediately, was built using the Zoho PhoneBridge connector, a cloud-based platform for integrating telephony solutions with Zoho products. The ActivePBX integration with Zoho CRM solves a problem faced by many organizations: how to capture, monitor and analyze telecommunications data and services within a CRM system. With this new integration, companies can track calls and call history, offer click-to-call services and, most importantly, collect and analyze call data to improve sales processes. Manual call logging, and its shortcomings, is eliminated from the CRM equation. ActivePBX integration is available immediately for the company’s professional and enterprise customers and can be accessed by contacting the company’s support team. 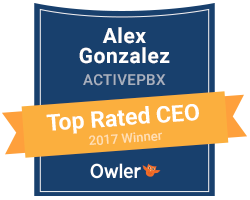 ActivePBX is a global provider of cloud-based business phone systems that increases productivity and mobility while reducing telecom expenses. The solution works with your existing internet connection, which eliminates the need for costly telecom hardware and traditional analog phone services. For more information about any ActivePBX service, call 866-330-4678 or visit www.activepbx.com. Zoho is THE operating system for business – a single cloud platform with all the necessary applications to run a business entirely from the cloud. Businesses can acquire and manage customers using Zoho’s marketing, sales and customer support applications – Campaigns, CRM and Desk -and can then empower employees to create, store and distribute content on the cloud with Zoho’s productivity and collaboration applications – Office, Mail and Docs. Additionally, businesses can run their own operations on Zoho’s finance and human resources applications – Books, People and Recruit. Zoho is a division of Zoho Corp., a privately held and consistently profitable company, with more than 4,000 employees. Zoho is headquartered in Pleasanton, CA with international headquarters in Chennai, India and offices in Austin, London, Yokohama, and Beijing. For more information, please visit http://www.zoho.com.